To link a generic to a brand you need to go to products and edit the generic. In the lower left hand corner (see screen shot below), you will have a “Brand Default” option available. You will click on the brand default underlined area and select the brand you want to link it to. 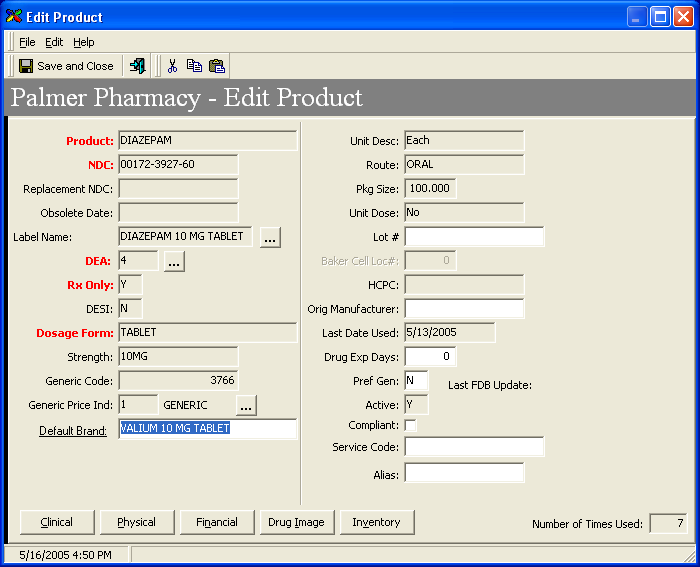 When you are dispensing, on the second dispense screen, when you tab through the product area, the generic/brand alternates will pop up and you can choose one. On the first screen, the DAW has to be set to “No”. The ability to link will not be available for user added products and also for any products that FDB does not consider as a generic.